Please come by with the kids to our Freeport location on Saturday, April 27th at 1PM for a special storytime with Chris Van Dusen! 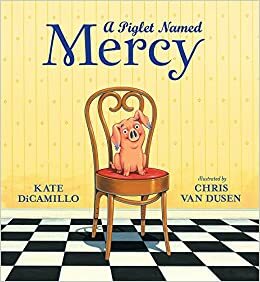 He will be reading from his newest children's book written by Kate DiCamillo, A Piglet Named Mercy, and will also be signing copies of his books. This is going to be a fun, wonderful event, so be sure to come by!